JOIN OUR CUSTOMER REWARDS PROGRAM! Hemp Heat is a silky blend of hemp and aloe rich warming lotion perfect for relaxing muscle tissue. Similar formulas, such as BENGAY Ultra Strength, can be found in every major pharmacy in the U.S., but they won’t include our proprietary blend of 100 mg’s of full spectrum hemp oil with naturally occurring CBD and other phyto-cannabinoids. 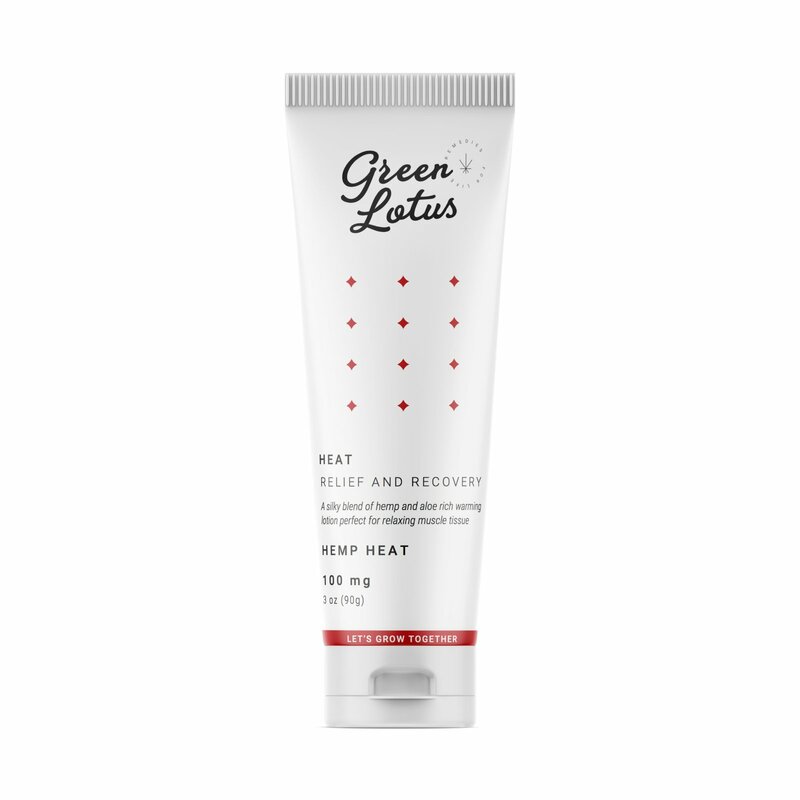 Green Lotus Hemp Heat packs a punch that’s sure to deliver results and is ideal for athletes or those looking for relief and comfort.